Most Trusted Data Recovery Company in Coimbatore. Coimbatore is the second largest urban agglomeration in the state after Chennai. It is a foremost hub for education as well as industries such as Information Technology, textile, healthcare and manufacturing in the southern part of India. This major city in the state of Tamil Nadu is also a home to one of the largest Stellar data recovery centers. Our data recovery center in Coimbatore is 2nd in the state of Tamil Nadu. Stellar Data Recovery center in Coimbatore caters to the data recovery service needs of individuals and organizations in and around the city. It is accessible to neighboring areas such as Dindigul, Erode, Karur, Nilgiris, Ooty, Pollachi, Salem, Tirupur, Tirunelveli, Virudunagar and Theni in the state. In-house Research and Development department, CLASS 100 CLEAN ROOMS, 60+ professionals with expertise in devising new and advanced techniques to recover data from physical and logical damage - all these adds to the center's ability in offering even better data recovery services. We recover data from almost all types of damaged storage media - physically as well as logically - such as hard disk drives, RAID servers, flash drives, memory cards, SD cards, desktops, laptops, tablets, mobile phones, NAS boxes, etc. Our Coimbatore center offers high-end comprehensive data recovery and data sanitization services. With a multitude of knowledgeable and experienced professionals, it caters to each and every demand of its clients, and enhance their experience. The service is delivered in a stipulated time, therefore, making customers quite contended. The customer satisfaction score is extremely high that showcases the ability of our professionals in recovering lost or accidentally deleted data. It resolves 100+ cases per month and an average of 3 cases per day, with 100% assured recovery and 95% success rate. In Coimbatore, there are several local players who provide data recovery services. 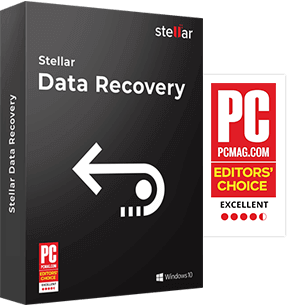 Nonetheless, Stellar Data Recovery with seasoned specialists in data recovery and the state-of-the-art tools and techniques, forms a league of its own. 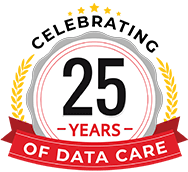 Catering to data recovery since 1993 and being ISO 9001:2015 & ISO/IEC 27001:2013 certified, Stellar Data Recovery is a name to reckon with. 5/5 March 29, 2019 Unknowingly I lost my photos which have to be delivered to my client, I was worried at that time later I heard about STELLAR who can resolve this issue. As all said they proved by recovering the deleted photos and saved my reputation. 5/5 March 28, 2019 I am very happy about the service Thanks for a good job. 5/5 March 27, 2019 I got all my data back, thank you so much.